Most Amazon Private Label sellers have heard the term “product hijacking,” but what does it mean and how does it happen? 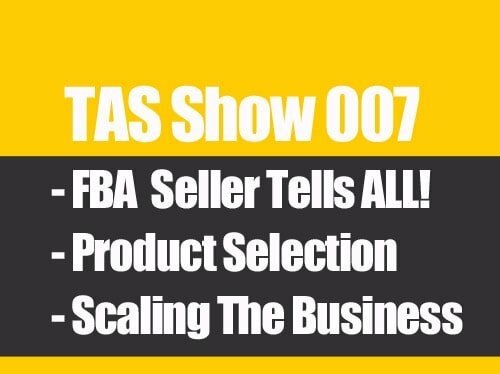 On this episode of The Amazing Seller you’re going to get the full story of this underhanded practice and come to understand why people do it, what they’re trying to gain, how it happens, and most importantly, what you can do to protect yourself. And you’re going to hear it all from a previous Amazon employee who dealt with these kinds of issues in his responsibilities with Amazon. 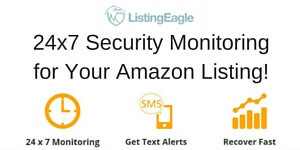 Note and Update: Since this episode was recorded there’s been a NEW tool created to monitor and help protect your listing from Hi-jackers. The tool is like a watch dog that notifies you by text and email if there’s been any intruders. What does it mean for your product to be hijacked? Your product listing can be hijacked when another Amazon seller comes onto the listing and claims that they are selling an identical product as yours, but really are not. They will send in their products to Amazon, begin changing details on your listing, maybe even the pictures, and in time, will completely take over the listing and rob you of your sales. In this episode you’re going to learn how to setup your listings and your brand in a way that will make the likelihood of someone hijacking it much less, and will set you up for greater security in your Amazon business. What steps should you take if your listing is hijacked? 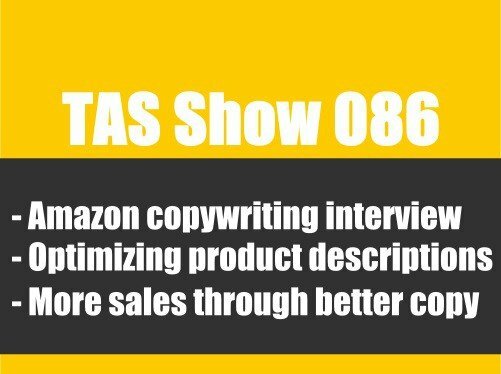 Scott’s guest, a previous Amazon employee named James, shares a number of simple, common sense steps to take if your product listing becomes hijacked. Many of the steps work best if you’ve kept accurate records of the process and details you went through as you set up your product. On this episode you’ll learn what those steps are, why they are important, and how you can prepare for the day your listing may be hijacked. This is powerful information, and you’ll only hear it on this episode of The Amazing Seller. Why getting your brand into Amazon’s brand registry is vitally important. Amazon’s brand registry is the company’s way of identifying brands and linking them to their own products within the Amazon catalogue. Private Label sellers who are serious about getting their product listings the fullest amount of protection from hijackers need to make sure that their brand and each of their product listings are submitted to the Brand Registry. In this episode an Amazon specialist is going to tell you how to do that, step by step. How to prove that an imitation of your product is not the real thing. Most product listing hijackers take over a listing in order to sell their product that is similar to the one originally on the listing. If your listing is hijacked, you’ll need to be able to prove that the product being represented in the hijacked listing is not your product. There are some simple but very effective things you can do to customize your product and packaging that makes it a slam dunk to prove that a product is or is not yours. On this episode Scott’s guest, a former Amazon employee, is going to give you those simple things so you can protect your brand from hijackings. [0:05] Scott’s introduction of this episode. [1:15] The Facebook page keeps growing. Join the community. [3:30] Get your free private label course. [5:31] James’ previous roles with Amazon. [8:06] What does it mean for your product listing to be hijacked? [11:19] How can someone change a listing you created? [13:29] What happens to people caught hijacking listings. [13:54] What is the first thing to do for your brand? Get a Trade Mark. [15:54] What the brand registry really does for you. [19:21] Should the trade mark be done just to test out a product? [20:33] A very simple thing you can do to register your brand. [24:49] What is required to register a brand? [27:04] A simple breakdown of steps you can take. [30:30] What to do if your product is hijacked. [33:48] Ways to keep records in case you ever need to take back a hijacked page. 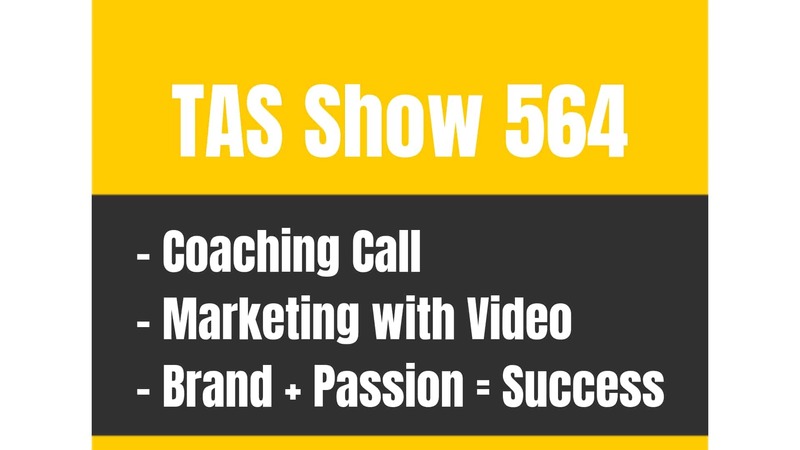 [35:00] The best ways to approach seller support: email ticket, then a phone call. [38:09] The difference between a hijack and a counterfeit product and what to do for a counterfeit. [40:57] What to do if someone is selling a similar product but not the exact product and using your listing. [45:20] The importance of updating images once you change packaging and the importance of unique packaging. [48:35] A simple packaging tip to help identify your unique product apart from others. [51:07] How does brand authority happen with Amazon and how does it relate to the brand registry? [54:42] Amazon’s willingness to allow videos on certain product pages by setting up a Vendor Express account. [56:40] James’ upcoming event for Amazon sellers. they don’t want to face it but we do have to understand what it means and how we can protect ourselves. I did an episode back, episode 105, that’s theamazingseller.com/105, where I talk about it. If you haven’t listened to that one you’ll probably want to listen to that one as well. Also what I wanted to do here is I wanted to have an ex Amazon employee come on, James Thompson who actually worked for Amazon in their FBA sellers department … where he brought on new sellers. So he knows a thing or two about this game, okay? What I wanted to do is really ask him what can we do to protect ourselves? What are some of the best practices? What are the things we can look out for? All of those things. That’s what I’m excited to share with you today on this episode where we’re actually going to ask him questions, we’re going to get the answers to those questions and the best practices. I’m really, really excited to share this interview with you. Before I do jump into the interview, I did want to let anyone that’s brand new, I wanted to first off say thank you so much and welcome. Everyone else that’s been listening since the beginning or came in maybe midstream, you guys are awesome and happy, happy new year. We’re into 2016 now officially which I’m really, really psyched and pumped up for. Our Facebook group, our Facebook page is just awesome. Our TASers that is up over 21 thousand members right now actively in there helping one another. Whether you’re just starting, whether you’re a seller that’s been selling for six months, a year, two years, there’s a place for everyone. I’m really, really excited to see where the community goes this coming year. I think it’s going to be great and it’s growing and people are awesome in that community. If you are not a part of that community, head over to theamazingseller.com/fb. That’s for Facebook. I love that. That is something that I am going to be having on my little screen share here or my screen that I can look at. I put it up on a Post-it note, whatever it is. I’m going to have that where I can see that in my journal. That is a great, great thing to live by because I do believe that everything we do doesn’t have to be … and especially if we get frustrated and we feel like we’re failing. It’s not necessarily failing, we’re just learning through this process, all right? Definitely thanks for sharing that, Menni. Again, that’s things that we’re doing inside of the TAS group. It’s just an awesome place to be. Now, before we do jump in one last little reminder here. If you are brand new and you have not gone through my 12-day free Private Label course, head over to freeprivatelabelcourse.com. 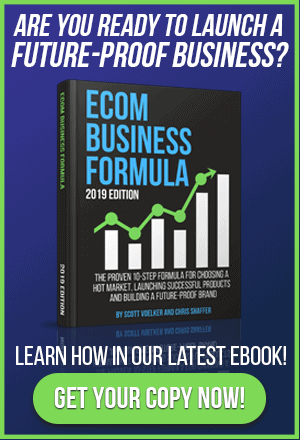 You can sign up there for a free 12-day course that walks you through step-by-step the five phases that I used and many people that I know used for finding a product, sourcing a product, launching a product and promoting a product. It’s very similar to what I teach at my workshop but I would definitely recommend going through this. It’ll lay it out for you step-by-step. Again, that’s freeprivatelabelcourse.com. All right, so what do you guys say? Let’s go ahead and jump into this interview with James Thompson and learn about how to protect ourselves, how to set our businesses up correctly so we cannot be as easy of a target for these people that are preying on these listings that they feel like they can take over and start capitalizing on all the hard work that we’ve done. All right, so enjoy this interview with James Thompson. [00:04:32] SV: Hey, James. Thank you so much for hanging out with us. What’s going on? How are you doing? [00:04:36] JT: Good morning, Scott. Delighted to be here. Happy to chat with you and talk more about the ever extensively complicated issue of product hijacking on Amazon. [00:04:48] SV: Yeah, this is a pretty hot topic, one that some people that are brand new might not even understand what it is so maybe what we can do is catch people up to speed on that. Then from there we can dive into what we can do to prevent it or our best practices, I guess. Then what we can do if someone does do that and how we can, I guess, help ourselves the best way possible. I know that you’ve got some different theories and probably different things that we can do so I definitely want to dive into that. Why don’t you give people a quick little background though about your background as far as within Amazon, the platform itself but actually the company itself? Why don’t you give us a little bit of a background? [00:05:32] JT: Sure. I had the opportunity to work at Amazon for just under six years. I left about two years ago after doing a number of things, including being Amazon’s first account manager and then running the Amazon Services platform, which is the platform through which just about all new sellers will join Amazon as they self-service, sign up to become sellers. I’ve worked with literally thousands of sellers and I’ve watched a lot of folks do a lot of silly things that have caused their accounts to either be suspended, or unfortunately in some situations get terminated. I’m happy to chat more about some of these issues. We can talk about some of the very tactical aspects of what to do with Amazon but I think first and foremost, it’s important to understand Amazon is a beast with a very specific type of culture. What I hope I can do through today’s discussion is shed some more light on essentially the rules of the game that Amazon creates for its marketplace because they’re highly predictable. For the number of sellers that I’ve worked with who have said, “I just don’t get what they’re doing. I don’t understand why they’re doing this.” The reality is most of this is pretty predictable. We may not like what Amazon is doing but we can anticipate what they’re going to do and how it’s going to impact our ability to get Amazon to take action, to clean up our listings or to help protect our products. All that stuff is very predictable. We can talk more about that through our discussion this morning. [00:07:02] SV: Yeah. I’d love to dive into the best practices, I guess, as an Amazon private labeler or even just a seller in general. I would love to deep dive into that. I do generally like to keep things on topic, on point. I think if we just cover those two that would be really, really helpful for people: hijacking and then also how to keep your account from being suspended by playing by the rules. Like “What are the rules?” kind of thing. Maybe you can shed some light on that stuff for us. I think it’s interesting to be able to deep dive into someone that’s actually been working behind the scenes. You know what they like and what they don’t like. Maybe you can help us moving forward so we can prevent this and play by the rules because we do want to play by the rules. We’re not here to figure out a shortcut that’s going to in the end hurt us. I always teach, even in my own experience it’s all about creating a real business that can actually be sold if you wanted to because you’re doing everything by the rules. That’s really what we want to cover here and I’d love for you to shed some light on it. Why don’t we deep dive a little bit into … Okay, first let’s talk about hijacking. What is hijacking? Give us your … I guess we can do like a minute, a minute and a half, two minutes, whatever. Get people caught up to speed in a hurry. [00:08:21] JT: The reality is lots of products sell really well on Amazon and there are companies that would like to take over those product listings. Let’s say you sell socks and somebody likes that listing and sees that it’s got really good sales rank. If the listing hasn’t been created properly, it is possible for somebody else to come along and say, “You sell striped socks but I’m going to take over this listing and I’m going to start selling my cell phone accessory on the same product page.” I’m basically going to change the title, the image, all the content but I’m going to say thank you very much because you’ve got a lot of good product reviews and a lot of traffic and a lot of sales rank. That will help me sell my cell phone accessory and all of a sudden your striped socks have disappeared from the listing and I’ve now taken it over in order to be able to sell my product which has nothing to do with yours. This whole concept is called product hijacking. It happens a lot. There are definitely things that sellers need to understand about how to protect themselves from that happening. I will say that it happens all the time. There are companies, I could use a lot of negative terms, but there are bottom feeders that are looking for product pages that haven’t been properly protected, that aren’t being properly managed by the company that created the page. There are companies trolling for these pages all the time. The reality is if you can find that kind of page and you can get a lot of customers instantly coming to the page using the acquired traffic that was on that page, you can help sell whatever item it is that you’re going to sell. There’s a lot of companies out there doing private label products and everybody wants to sell their brand. If you can get any advantage to accelerating the sales that’s certainly one approach. It’s certainly not ethical. It’s difficult to detect and to untangle on the Amazon side but there are definitely approaches that we can take in order to reduce the likelihood that we’re going to be the victim. The way I like to think about these kinds of issues is it’s not so much that we’re going to prevent this from happening to ourselves, but rather we’re going to reduce the likelihood that we’re attractive as a target. There are always targets out there. On Amazon, our task is to find ways to reduce the likelihood that we’re a target for this kind of action. [00:10:47] SV: Very interesting, I think too, for people to understand and I’ve never heard it put that way, which is great. I love the sock analogy and then turning it into a cell phone accessory. For people that are brand new, basically what James was alluding to is that they’re stealing that listing in a sense. Obviously Amazon owns all the listings. We know that. It’s in their catalog and all that stuff. If you haven’t done things properly, they can come in there and swipe that and then start changing things because now they’re going to take it over. Let’s talk about that though really quick. I don’t want to teach this but I want to understand how can someone come in and actually take my listing and take it over? Is it just by price? Are they going to be able to go in and say they have the same product and then change the price and then I get the buy box? How does that work? [00:11:36] JT: It all starts with you’ve got your listing. Let’s say I’m the naughty one here. I come along and I say, “Yup, I’ve got an offer on the same product.” Lo and behold, I also have what’s known as a higher content authority score. That means when I submit data on that listing, the likelihood that my content is going to surface ahead of yours is greater. Not only have I submitted an offer but I can start changing the title, I can change the product description, the bullet points, the item type classification terms, the generic keywords. I can even change the main image. I would do this one by one by one and because I have a higher content authority to you, I will actually get my content to surface ahead of yours. Once it surfaces, I might actually even have changed the brand name. This is really sneaky but let’s say that I have what’s called … some of your followers may be familiar with brand registry. [00:12:38] JT: We can talk more over that in a minute. If I have brand registry for my brand and I’ve taken over your listing and I change the brand on the listing, guess what? All of my content will now get locked down because I have brand registry on the brand that I’ve just changed it to. I’ve effectively not only taken over your brand but I’ve built a big wall around your ability to make changes back to what it originally was. It’s very underhanded but it’s completely doable if you’ve left yourself exposed when you set up the product listing in the first place. We can talk more about the logistics of how to avoid this from happening. Yes, I don’t want your listeners to say, “Wait a minute. That sounds like a great opportunity for me to go and troll for poorly set up listings.” The reality is if you get caught doing this Amazon will come after you and they’re not just going to smack your hand. They’re probably going to toss you from the platform. It’s not an action that I would suggest anyone take. I would rather help somebody figure out what are the responsible ways to build a product detail page and then how to drive traffic to it to build up the interest in the products that you’re selling. [00:13:54] SV: Yeah. Why don’t we talk a little bit about that? I think it’s interesting, the brand registry topic. I think that a lot of people just starting don’t understand what it is and they think that it’s a big complicated thing. Why don’t you talk, I guess, about what is the first thing that you would do to make sure that your listing is properly done in the beginning so you could prevent this from happening, or at least make it harder for it to happen? [00:14:20] JT: Let’s step back even one step before that. Let’s say I’m a private label seller. I’ve got some products, I’ve got a brand. The first thing I would do is I would go out and I would get a trademark for that brand. One of the things that Amazon is pretty adamant about is people can’t just say they have a brand because they made up a brand. There has to be documentation to show that there actually is a brand. One of the best forms of documentation is a US registered trademark number. If you’ve taken the time to do this and you’re serious about building a brand and you’ve got the right legal paperwork to say, “This is not just some brand name I made up last night but actually a brand that I’ve registered. I’ve got the paperwork to justify that it is in fact tied to me.” You can now take that trademark number, you can go into Amazon Seller central, you can look for the program called Brand Registry and you can actually submit to have your brand locked down to you, meaning you can submit the data for your product listings such that Amazon will grant you the exclusive on the content for those products and that brand. Let’s say your brand is Stripy Socks Ltd and you make stripy socks. That’s the name of your brand and you’ve got a trademark for Stripy Socks. You can go into the brand registry program, register the brand of Stripy Socks. Now any time you create a listing with the brand name of Stripy Socks, the content that you submit will be the content that gets locked down on the product detail page. Here’s a couple of other misperceptions. Number one, once you’re approved for brand registry and Amazon sends you an email and says, “Congratulations. Yes, we’ve given you brand registry for this brand,” that’s only basically an invitation to get started. You now have to resubmit all your product feeds for product listings that you’ve created on that brand. If you’ve already got a bunch of products for Stripy Socks on the platform, you need to resubmit that data. When you resubmit that data, the data you submit will get locked down with the exception of the main image on the product detail page. Brand registry doesn’t allow you to lock down the main image but it allows you to lock down everything else. If you’ve been approved for brand registry, you’ve resubmitted all your data, the data you submit will get locked down but guess what? All the data that you don’t submit, that is to say for all the columns of data in the flat file that you don’t submit, somebody else can come along and submit data for those fields. Let’s say, for example, you didn’t fill in any of the bullet points on your listing. If you don’t have any bullet point data then there’s nothing to lock down. Somebody else can come along and submit their data and that data will now surface on the product detail page until such time as you submit bullet point data to overwrite and lock down your content ahead of what might already be there. You need to think about how do I get brand registry in place but then how do I get all the content that I want to have on the product detail page? How do I get that stuff locked down and not leave off critical columns of data that somebody else might in fact be able to implement on the product detail page and very much change the flavor of the message I’m trying to communicate to customers? We talked about the content that you see on the product detail page but brand registry also lets you lock down the generic keywords and some of the information that’s behind the scenes that you can’t otherwise see on the product detail page. Brand registry is only step one but that is definitely a very important first step to avoiding having your product detail page get hijacked by somebody else. You’ll remember what we talked about in the beginning, the first step that has to happen after another company comes along and puts an offer on that listing, the first thing they have to do is start changing content on the product detail page. If you’ve prevented them from being able to change content then they’re going to go find some other product detail page that they can change the content on. [00:19:02] SV: Yeah, that’s a very important point there actually because like you said, you just made it harder. There’s easier ones out there to go after than yours. [00:19:11] JT: I think of it as the lion and the group of gazelles. You don’t have to be the fastest gazelle, you just have to make sure you’re not the slowest gazelle when a lion goes hunting. The same concept. [00:19:20] SV: Absolutely. Yeah, I totally get it. I know there’s some listeners, probably a lot of them, listening to this and they’re saying, “Okay, so what James is saying then, if I want to go and even play around with this private label thing. I’m just a guy on the weekend that’s trying to make a few extra bucks and I want to test this thing out before I go all in. Me personally, I want a proven concept before I go ahead and I file for a trademark, I file for the website and all of that stuff. I’m just a guy trying to see if this thing is going to fly.” What you’re saying is it’s okay to do that but once you start to see that you start getting some traction, you better start taking these other steps. Quite frankly, one of the steps that I would take if you don’t want to get the trademark but you still want to get some initial protection, one of the things I absolutely would do is get yourself a UPC for each of these SKUs. Then on the simplest of web pages, I’m talking you could get yourself a WooCommerce site for $20 a year, just some simple, simple site. Even if that site is not a shopping site it’s got to have your brand name on it. The URL for the brand is stripysocks.com. Again, these are not expensive to get a website. You only need to get it for a couple of months until you see that yes, in fact this is going to work. One of the things you want to do is get yourself a UPC for every SKU. Then on that website publish a very simple list that says, “Here are all my SKUs and here are the corresponding UPCs for those SKUs.” Now you have a manufacture site with the SKUs and UPCs on it. When you create those listings on Amazon with those UPCs, Amazon now has manufacture based data that you can show them that says, “Listen, these particular SKUs that I have are actually tied to these UPCs and not to anything else.” If somebody were to come along and try to hijack your listing and you didn’t have brand registry yet, you could at least show Amazon through a seller support ticket, you could say, “Wait a minute. Someone’s taken over my UPC. Let’s go to the manufacture site over here and I can show you that UPC doesn’t belong to the product that somebody has now taken over. It belongs to this other item. You can see it on my manufacturer website.” That’s the kind of proof that Amazon needs to get started on being able to untangle inappropriate offers that have been put on a listing that does have a proper UPC. [00:22:22] SV: I got it. Yeah, that makes total sense. That is a really simple, inexpensive way to do it. I would even say even in the beginning to go just buy the domain name with your brand name that you’re thinking of doing here, buying the domain name. Now you’ve got proof that you own the domain name. Now from there you can create the website which you prove that you own. Now what you’re saying- let me try to follow you here- you’re saying actually take those UPC codes. Would you create product pages for all of them and then put the UPC code on that page? Or would you just have a list of your SKUs on a separate page? [00:23:38] SV: Okay. I like that, yeah. [00:23:39] JT: In fact, if you want to help yourself just a little bit, add a third column so you’ve got the SKU, you’ve got the UPC and then you’ve got the name of the product. Here’s the green stripy socks and the blue stripy socks and so on and so forth. Literally no one is ever going to go to that website except for when you need to justify to Amazon that there may have been an issue with someone taking over your UPC. All of this becomes much less relevant in a situation where you do in fact do the brand registry. With brand registry you’ll be able to lock down all this other content and the likelihood of somebody coming after your UPC is less. Nonetheless, it’s an extent that we … As you were saying, we try things out before we get our trademark registered. Certainly do this UPC trick because it’s very helpful at least to be effective if you have to respond to the actions of somebody taking over page. [00:24:35] SV: Yeah, I agree with that. I think it’s a very easy step. For people out there that don’t know, a trademark itself could take six months, eight months before it’s finalized. [00:24:49] SV: The brand registry I know takes about three, four days if that. Sometimes it’s even sooner if you have the components in place. What are they looking for to be able to be brand registered? Let’s go back to basics on that. What does Amazon need for you to brand registry? I know personally but why don’t you explain to the listeners. [00:25:06] JT: You’re going to have to have a name and email, a phone number, a registered trademark number. Then you’re going to have to decide what key characteristic you want to use to lock down your listings. Typically people will say, “I want to show that my products are uniquely classified by UPCs or by European EANs.” Or I may use a model number. Those are typically the three main classification approaches that companies will take. What happens is any time any of those three numbers, the UPC, the EAN or the model number depending on which one you’ve selected, any time that shows up in the Amazon catalog Amazon knows this brand name in combination with the UPC, or in combination with the EAN, or in combination with the model number, that actually belongs to a registered brand which Scott Voelker has registered for Stripy Socks. Now you’ve got a situation where anybody that comes along to create a listing using that UPC if it’s already in the system and it’s already been locked down in brand registry, people can’t try to recycle your UPC, which is actually another sneaky way that people sometimes will take over product listings. Anyway, brand registry, you’ve got to have your brand in place. If you’ve got common misspellings or different iterations of how the brand is spelt that’s important to note. For example, if you were Striped Socks, LLC or Striped Socks or The Striped Socks Company, whatever those different combinations are it’s important to know what they all are because you’ll be submitting against all of those. So that in a situation where somebody creates a listing with any one of those different brand name versions it’ll all get tied back to your brand registry submission. [00:27:03] SV: Okay. All right. Let’s break this down then really, really simply. [00:27:25] JT: Actually, just a sec, Scott. That website URL should be consistent with your brand name. [00:27:31] SV: Yeah, totally. I would say anyone looking to even create that brand, your very first step before you even say that you’re going to create that and brand anything on a product, I would look for the web address first. I would make sure that I can get the domain name myself personally. That will also, again, secure that you bought the domain name. It’s registered for you. Then from there now we’re going to start branding out our material. Now we want to also create that website with that simple, simple Excel spreadsheet if you wanted to. I would go as far as to also have an about page and a contact page and maybe even a couple of product pages that are also linking back to my Amazon store. I would probably do that but you don’t have to but this here is also going to help them when they do the brand registry, right? Now when they do the brand registry you’re going to submit your website because they want you to have a website. Then from there they’re going to be able to cross reference that stuff. They’re going to be able to look at your UPC if that’s what you’re using as your identifier and so forth. Then once you’re ready … but let’s just be clear here. You do not have to have a trademark in order to get brand registered. I’m saying this on the fly. I didn’t need it. [00:28:38] JT: You’re correct you don’t need a trademark however Amazon may decline your submission. I have seen situations where people have been approved without the trademark number, but if you do submit the trademark there’s no doubt that in fact you have a real brand, a legitimate brand rather than a brand name you just pulled out of thin air yesterday and plopped down on the submission paper. [00:29:01] SV: Okay, that’s fair. [00:29:03] JT: I can’t give you a yes/no answer because I don’t know how many of the submissions that have been approved without the trademark how often that was submitted because a human error was made. I’ve definitely seen somebody submit it without and be approved but I believe that they’re looking for real brands with trademarks. [00:29:24] SV: Okay. I’m going to come in there and say what’s happened to me personally and I’m going to also say what’s happened to a bunch of my students and a bunch of my listeners. I’ve never had someone come back to me and say they got declined because they didn’t have a trademark. [00:29:35] JT: That’s good to know from the perspective of a newbie trying to get started. That’s great. [00:29:39] SV: Yeah. I have not heard that. Now, if someone listening that’s happened, please email me and let me know that because I do want to know that stuff. As far as I can see right now, everyone that I’ve ever heard that’s submitted or anything, the trademark was not part of the criteria to approval. [00:29:57] SV: Anyway, on the basic terms that’s what we want to do, guys. I think James broke that down really, really clear. I love the spreadsheet idea, having that on there so we can cross reference that. That’s really, really awesome to be able to do that and be able to add that other layer there because that’s what we’re doing, right James? We’re creating these layers in a sense that’s going to help us, so that if we do have to go the Amazon route where we have to go into their court, let’s call it … because that’s really what you’re doing. I don’t believe that they’re going to say, “The trademark is this, that or everything.” What is their criteria once you go through and start saying like, “Okay, I’ve been hijacked. Someone’s taken over my listing.” Then you have to start going through their system now, right? You’ve got to buy the product, through all of that. Maybe take us a little bit through that process because I do believe that they have their own judge and jury. I do believe that. Now you’re going to have to start providing evidence to Amazon that in fact you are the brand owner. I like to start with this UPC idea where you can demonstrate that the UPCs in fact are being used for something quite different than what they were initially registered in your catalog for. One of the things that I like to tell folks is that there is an Amazon tool called csi.amazon.com. It’s an internal tool that Amazon people have. It allows them to track exactly who has submitted what at different stages on each [inaudible 00:32:06]. If you first created a listing and you’ve got your [inaudible 00:32:10] for your 10 listings and there were UPCs on those submissions, they can see that those UPCs were used for your Stripy Socks. They can also see that at some subsequent date somebody else came along, added their offer and then started changing all the different categories of data. They have that data. You file the ticket. You say, “Hey, my product’s been taken over. Please go check the CSI listing for these particular products. Here is the manufacturer website with the UPCs and the products that do correspond to it.” Then Amazon will come back to you with any number of questions around “Well, this is hard for us to do and we’re not sure and blah, blah, blah. Show us all the data that was on the product page beforehand,” which takes me to the next point. Once you create your listings, I’d strongly encourage you to take a screenshot of every product page that you have for your brand. You now have a record of what the page actually looked like. You may not necessarily need to submit those screenshots to Amazon but you have that data. If unfortunately you had to manually recreate the content, you would actually have a record of it that you could use. Maybe you’ve submitted all your data through a flat file. Keep those flat files. Keep them well-labeled so that you could submit them back to Amazon. If you submitted the data in a flat file there’s going to be a feed number when you submitted that. Write down that feed number and say, “Okay, on December 21st 2015 I submitted 10 products for the first time in feed 1234567 and here’s the flat file.” Now you can go to Amazon and say, “Please make it the way it was. Here’s the file that it was and here’s the feed number and the history and all that kind of information.” Now you’re giving a technician at Amazon the necessary information for them to very quickly be able to undo what’s been done but put it back to the way it was before. [00:35:00] SV: That’s interesting. I love taking the screenshot idea too because for anyone listening, that’s a simple thing, right? Take your screenshots, label them. If you’re doing a flat file keep record of that. Again, we’re just keeping data that we can use as proof in the future if needed. Hopefully you won’t need it but if you do, definitely a great exercise to do as you’re even setting up your listings. Maybe even from time to time if you start to change things or whatever you’re going to want to update that stuff. You might do that monthly or get some type of flow for yourself. Yeah, I definitely love that. We’ll link up to this web address, the csi.amazon.com. We’ll link that up and any other links that you share. [00:35:53] SV: Okay, but what I can do though is at least get that so people have it so they can forward it over to the technician. [00:35:58] SV: Okay, good. Now let me ask you this real quick. I made a note here as you were speaking there. To get a hold of support what’s the best way? Is it through email, is it through the live chat or is it to actually get on the phone? [00:36:10] JT: Yeah, it’s a great question. My preferred approach is you submit a written ticket, so an email ticket. You write out all the details of the ticket. Imagine you’re writing a ticket to somebody who has absolutely no clue who you are or what you want, so you spell things out with potentially more words than you otherwise would. Assume the person at the other end has absolutely no idea what you’re talking about. Spell out the history, spell out the details, provide whatever data you think is useful. Then once you’ve submitted the email ticket now get on the phone with seller support and have a discussion with them on the ticket. The reason I want to start with the email is because you now have control of what data was originally written down in the ticket rather than you relying on a rep to write stuff down and make sure that the information is available for internal investigation. Think of it from the perspective of nobody cares about this issue more than you do. Make sure that you write down all the information that you think is relevant so that somebody, who is a complete stranger to you who doesn’t care about the issue as much as you do, will be able to follow your train of thought, follow the data you provide them and be able to take action on it. I’ve seen far too many situations where somebody calls in a ticket but the internal data isn’t written down properly by the rep, not necessarily because the rep doesn’t know what he or she is doing but because there’s a lot of nuance to the particular issue. It’s better for the individual seller to take the time and write it all down in a cohesive manner to make sure that all the right data is presented to Amazon. [00:37:47] SV: Yeah. Again, I think of it like a paper trail. We want to be able to have as much that we can have to go back on and at least have some type of record. That’s a great tip, actually. Doing the email first, letting it be noted, in your words, and then from there calling immediately about it as well. Then you can refer back to that if you need to. That’s good. Okay, let me get this now because I get this a lot and maybe you can shed some light on this. Let’s say that we get a hijacker and they did get on our listing. They’re a Chinese seller. Now, for me to go through that process, like you were saying … and for people that don’t know the process, real quickly, it’s kind of what they usually make you go through is you have to buy the product from that supplier that’s jumping on your listing. You need to take pictures, show them that yours is different. Now, we could also say what if they’re trying to counterfeit the product? What if we have Oakley glasses and they’re making Oakley glasses but they’re just making Chinese versions of them? That happens all the time, right? That could come into it where they print your brand name on it and make it look identical to your product. Let’s just say, for example, that they’re not doing that. Let’s say that they do have something that doesn’t have your mark on it and stuff but you’ve still got to wait for that. It could take four weeks because they’re fulfilling it by merchant. Is there any way to speed that process up as far as any language we can use with the seller or do we have to wait? Is that what we have to do? [00:39:09] JT: The test buy process is something that you’re likely going to end up having to do but part of what we’ve talked about earlier in terms of being able to demonstrate that somebody is … Let me put it this way. You’ve actually combined a number of different issues here. If somebody is creating a counterfeit of your product you’ve got a very different situation than somebody hijacking your page. Counterfeits are not really a form of hijacking. It’s really a form of inappropriate product sales on the same listing versus trying to take the sales rank and the product reviews of one item and convert it over to some other product. Those are two very different issues. If somebody is selling counterfeits, yeah, you’re going to have to go the route of doing test buys. Unfortunately the product itself isn’t noticeably different than what you’re selling and so you’re going to have to get physical proof that the version that’s being sold by this other seller is somehow different than yours. That’s very, very different than somebody took my Stripy Sock listing and all of a sudden I wake up this morning and discover that we’re selling cell phones on this product listing. [00:40:16] SV: I got you. Yeah, that makes sense. Sorry, I threw another monkey wrench into it. [00:40:22] SV: It’s kind of like those are things that I’m hearing. I don’t hear of that as much but I do hear … I don’t hear as much of someone selling socks and then someone selling cell phone accessories, although I can see how that could work. I don’t hear that as much as someone coming on and selling the exact same product that’s being purchased on Alibaba, let’s say. They’re just branding it with their name. Maybe the one that you’re going to get they aren’t going to brand with your name but it’s going to be very similar and that’s why I tell people bundle. Try to make variations of it in some form, adding accessories or whatever to try to make it different, packaging and all of that stuff. Let’s just say, for example, that we did need to do the test buy and someone had just jumped on our listing and was trying to sell a similar product but it wasn’t identical. It was similar but it wasn’t identical. It was a pair of those striped socks but they didn’t look like our striped socks. They were different striped socks. [00:41:15] JT: This is now a question around how much time and investment do you want to put into manufacturing? What I have found with counterfeit products is that the vast majority of the counterfeits are creating the exact same product but not the same packaging. What I encourage sellers to do when they build a private label brand is think hard about the following. Number one, can I get the UPC printed somehow on the product? If it’s a product where it’s okay to have a UPC printed on it, can I get the UPC printed on? Most of the time a counterfeiter is not going to go through that process or they might not even have the UPC themselves. They would have to do a test buy of your product in order to get the UPC to then print it onto their counterfeit. [00:41:59] SV: Oh, I like that. Yeah. [00:42:54] SV: I like that. For people listening, a really simple thing to do is to have your UPC printed on your packaging and then also try to make your packaging different in a sense where it’s not going to be just the generic box. I do tell people in the beginning, especially when just getting your feet wet, if you’re going to test the product, like you were saying, and then it goes and it flies you can still change the packaging. You can still change and put that stuff on there. In the beginning you might just go with the standard packaging but if you do, one simple thing that you could do is have the UPC printed on that packaging. [00:43:25] JT: Yeah. I prefer printing on the package rather than putting a sticker on the package. [00:43:30] JT: If you can get enough volume that it makes sense for you to be able to print different UPCs on different packages for different SKUs, I would strongly suggest that. That makes the process of validating a test buy very easy. You’re still going to have to do the test buy but it’s a lot easier for you to identify visually that there is a counterfeit. I had a number of companies I worked with while I was at Amazon who got hit with very sophisticated counterfeits. At that point it gets turned over to the counterfeit police within Amazon and they do their 20 point check on things that I don’t know what to look for but they know what to look for. That’s not what I’m talking about here. I’m not talking about the super sophisticated counterfeiter. I’m talking about the guy who goes to the same factory and says, “Give me a thousand of the same thing.” Then he puts it in his box and puts it on your listing and takes over half your sales, if not all of your sales because he undercuts you. That’s more of what I’m talking about. What we’re talking about here is not going to address the issue of somebody creating perfect Oakley counterfeits and you’re trying to figure out where did this come from? How did this happen? That’s not really what we’re talking about. We’re talking about some other private labeler coming along and saying, “Thanks Scott for all your hard work building up traffic to this page. I’m just going to take my almost-the-same kind of stripy socks, slap it up there and send it to customers. They probably won’t notice the difference anyways and I’ll make a few bucks.” That’s really more of what we’re dealing with here. [00:45:01] SV: Okay. Yeah, and that’s totally what I wanted to address. That’s happening more than … I think what you’re saying too is there’s trolls out there, more or less, that are looking for the low-hanging fruit. They’re going to go ahead and attack those because they’re easy. If we can do these things that we’re talking about it’s going to make it harder and they’re going to go on to the next. [00:45:19] JT: Right. Now, you mentioned something about potentially changing the packaging on your product as the product starts to take off. That’s great but absolutely make sure that you update your main images on the listings. You’re going to find yourself getting counterfeit complaints on your own product because your product images don’t match what was originally on the page. I have seen this happen and it’s sort of a slap in the face but it’s a level of sloppiness that we have to avoid at all cost. You can understand the philosophy here which is even if I’m not trying to do something underhanded but I’m a little lazy or I don’t really understand the ways of Amazon, I may say, “Well, my striped socks look similar enough to yours that even though mine has a couple of extra stripes in it, no one is really going to notice. Really, what’s the harm in doing that?” Obviously there is harm but it’s easy to understand how people don’t necessarily see that distinction as being important when they’re not necessarily experienced in the ways of Amazon. [00:47:59] SV: Those are good points. They’re definitely good points. I want to go back and circle back a little bit to the packaging. Like you said, if you’re just going to stuff it in a brown box that’s fine and all, but at least take the time and maybe, like you said, go after changing the color of the box and then creating your UPC code in the graphic on the box. That’s just simple little tweaks that you could do with the generic box that a lot of times factories will do. They’ll customize that package for you by color and design that way, just not maybe the shape of the box. Really, really easy way to do it. [00:48:34] JT: I was going to say, Scott, the other thing I’ve seen with packaging that’s kind of clever is ask the company that makes the packaging to print something on the inside of the box. What you’ll find is a counterfeiter, even if they look at your images on your site and they say, “Oh, I can make that,” they have no idea what’s on the inside of the box unless they were to do a test buy, which they’re probably not going to do. I’m literally talking on the inside of the box there could be a single number written on it or just reprinting your brand name; something very simple, very inexpensive. When you do the test buy, open up the packaging and see, “Yeah, the inside of the box it’s not consistent with my own. I know that somebody is doing something funny here,” that’s going to be a very easy way to essentially catch people who clearly are using images on the website to try to recreate whatever you’ve created. [00:49:29] SV: I like that. A simple thing would just be to, like you said, put your own logo inside the box because they have already gotten it and it’s really just a simple little print. Yeah, I love that. Or just a unique identifier in some way. [00:50:42] JT: You can do an insert. I’ll tell you, the one challenge with an insert is that if an insert honestly falls out of the box then how do you tell that story? Whereas if something is physically part of the box, physically part of the product, a UPC doesn’t fall off the item itself if it’s been imprinted on the item. [00:51:02] SV: Yeah, that’s a good point. Yeah, absolutely. Okay, we’re going to be wrapping up here. I did have one another question though, James. You talked in the beginning a little bit about being able to take over your listing because they have a little bit more authority. Let’s talk briefly about that. Getting authority on your brand how does that actually happen? This is my own hunch but I think as you have either more SKUs with more sales with maybe more seller feedback. Maybe you’ve just been seasoned longer, you’ve been on the platform longer, you start to build up some type of authority. Am I wrong in that thinking? The way to circumvent all that is to get the product into brand registry. You as a seller may not get a higher content authority but your listings that are in brand registry get a very, very high content authority. Even though you as the seller on normal listings don’t get any special treatment, the listings you’ve put through brand registry on brands that you’ve had approved they all get special treatment. Because you’re the exclusive one that has access to making changes to those, essentially your account by de facto … if all you’re doing is selling brand registered brands then you’ve built up some content authority on your listings because all your listings have much higher content authority. [00:52:56] SV: Okay, good. Again, I just wanted to hear how you were thinking that the authority would come into play. As we build out this stuff, we want to know that we’re building a brand that is getting stronger. That if we list new products they’re going to be able to maybe rank a little bit easier because we’ve had a little bit of a history and Amazon wants to promote. Is that not right? You don’t feel as though …? [00:53:25] SV: Not a brand, a second product under that brand. [00:53:28] JT: If you’ve already got a brand, you’ve already got brand registry on that brand, you create a second brand you’re still in the situation where you’re going to have to start from scratch in terms of building up traffic on that product listing. I want to be careful. We’re combining a couple of issues here. One is content authority around whether or not your product content will show up on the product detail page as the dominant content versus is your new product going to get good search and discovery when customers go looking for it? That’s a little bit of a different issue that isn’t tied to content authority that you have. It’s tied to a bunch of other issues. [00:54:01] SV: Okay. Maybe we’ll have to have you back on and we can discuss that. [00:54:07] SV: Yeah, that is a whole other topic, I guess, that we could probably dive into. In the beginning you talked about a listing that has more authority comes in and they could just take your listing over easier because they have more authority. I’m curious as to how would they get that kind of authority, especially a troll that’s going through and doing this stuff. Yeah, but we can definitely touch into that. I guess best practices always will trump going out there and trying to cut corners and trying to create these shortcuts. [00:54:42] JT: I want to offer an interesting opportunity for sellers right now that Amazon’s making available. One of the other ways to make it very difficult or less enticing for somebody to take over your product listing is to put a video on the page. Typically you can’t put videos on pages, except that right now Amazon is allowing folks who create a Vendor Express account to add videos to up to five new product listings. If you’ve got a video right underneath your main images, anybody who comes along and says, “Wait a minute, you’ve got a video for stripy socks. How on earth am I going to put my cell phone accessory on a product listing that’s got a video tied to it? That’s a hard stretch.” If you’ve got a limited number of new products you’re creating, go set yourself up with a Vendor Express account. It’s free. Once you have the Vendor Express account you can create the listings in Vendor Express only for the purpose of being able to add videos. Then you can go back into Seller Central and you can modify all the content. You can still do brand registry, you can still do all that kind of good stuff but you’ve got this bonus feature of being able to add a video directly onto the product detail page, which, again, makes you a whole lot less enticing to a troll who’s trying to take over a page that’s got some good traction. [00:56:07] SV: I love that. That’s a great tip. Yeah, I’ll definitely be looking into that. Vendor …? [00:56:12] SV: Vendor Express. That there again we’ll link that up in the show notes. All right, James. This has been awesome. This has been really, really a nice deep dive into the whole topic of hijacking and how we can protect ourselves, and how we can do a better job at making it harder for other people to jump on and take over our hard work and the traffic that we’ve worked so hard to get. I want to thank you for coming on. I want you to also talk about the event that you have. You have an event coming up. When people are listening to this I believe that they’ll still have probably about four to five weeks before you’re doing it. Talk a little bit about the event. I know that there are some of my students that are actually going to be attending it. I will not be able to because of a conflict in schedule but I would definitely want to be attending this. It sounds like it’s going to be awesome. Why don’t you talk a little bit about that? Tell us why and what it will do for sellers. [00:57:05] JT: With a dozen other former Amazon business heads, I’ve put together a conference called the PROSPER Show, theprospershow.com. It’s an event in Salt Lake City on February 8th and 9th with about 65 speakers over two days. It’s pretty intense. This is a continuing education event for Amazon sellers that are looking to understand how to improve all the major business operations that they need to run in order to be a successful Amazon seller. I have a number of competing solution providers who are going to talk about very high level topics and get into the details around what are the differences across inventory order management systems? What are the major issues around inventory order management systems? I’ve got the four main people from the four main tax collection and remittance companies. I’ve got feedback, product reviews, accounting. I’ve got a whole series of these different panels on major topics where the experts across many different companies are going to be essentially hashing it out. What are the key issues that sellers need to think about? What can they do themselves? What are the areas where it makes sense for them to think about working with an external solution provider? By way of having many different perspectives on the same panel, I think we’re going to get much closer to some level of truth around what are all the issues and how do we make Amazon sellers much better consumers when it comes time to think about using different external solution providers? This is an event unlike anything else that’s ever been done, both in terms of the number of former Amazon business leaders who are going to be participating but also the breadth of topics and the depth of the topics by way of having four or five and sometimes six competitors all discussing together what are all the issues that are important for Amazon sellers to understand? We’d love to have folks from your audience come out to participate. It will be quite an intensive event. We’re not doing this in a crazy place like Las Vegas. We want everybody there for the two days. Bring your notes. Write lots and lots of notes. Very interesting people will be at the event. Lots of opportunity to network and be able to walk away from this event and say, “What do I need to do to make my 2016 business run at a much more efficient level, a much more profitable level?” Be in a position that you’re not spending all of your time working in your business but rather spending more time working on your business. [00:59:42] SV: I love it. Tyrone, he’s actually who hooked you and me up. He had some lunch with you and he talked highly of you and of the event. He brought it to my attention. Again, I can’t attend. I wish I could. Maybe what we can do is if you have a link that you want to put in the show notes, I’m not asking for an affiliate commission or anything like that. I’d like to pass on any savings to the audience. Maybe we can drop a link in there for them that they can save some money. Then this way whatever type of affiliate thing there we can maybe work something out so they get the best deal possible. [01:00:17] JT: Great. I will give you a custom link for your audience with a discount code, something that will hopefully entice them to make the two-day commitment to come to the event and learn a huge amount about topics that they might not realize are as important as they are to driving a successful Amazon business. [01:00:37] SV: Yeah, that sounds awesome. Again, I want to thank you for taking time out of your day. I know you’re busy. I know you’ve got a lot of different things that you’re involved in. I appreciate you taking time out of your busy schedule. We’ll definitely probably have you back on though, James. We can deep dive into some of those other topics. [01:00:55] JT: Great. Thanks for the opportunity today, Scott. [01:00:57] SV: Yeah, no problem. Thanks again. I know the audience is going to love it. Take care and I’ll talk to you soon. [01:01:02] JT: All right, bye-bye. [01:01:04] SV: Okay, so there you have it. All of the information that we need to know about hijacking and how to protect our listings. The one big thing that I took away here is that we want to create our listing to be our own in a sense to where it also makes it harder for other hijackers, these people that are doing this evil thing to us or to other sellers, making it so we’re not as easy of a target. When they come to our listing they see these things in place and they go, “You know what, we’re going to skip this one and go to the next one that’s easier because this one here is too much work.” That’s the big thing that I took away from here. That does require more work on our part but you know what, that’s okay because that’s the things that we should be doing in order to protect our brand and our Amazon selling store and rank and all of that stuff. We want to be able to protect that as best that we can, okay? Anyone that’s listening to this and they’re like, “Oh, my gosh. I’m all scared,” no, don’t be scared. Take this information and apply it to your business or when you start up apply it to that. Just knowing this stuff … I didn’t know this stuff going into this. If I did I probably would have done things even a little bit more different. Now I know so when I launch new products I’m going to know how to build out these listings and how to protect myself. I hope that this has been helpful to you. I know I’ve learned a ton. I want to thank James once again. If you guys are interested at all in attending the PROSPER Event, I am not going to be there. I would be attending if I didn’t have conflicts but I am not going to be there but he’s been so generous to give our TAS listeners a discount. If you guys are at all interested … I’m not an affiliate for this. I will not earn a commission for this at all. I actually asked him if he would give a discount for a commission that I would be making. This way here I can take it and apply it to you guys so you guys get the best deal. I’m going to leave a link on this episode. This episode is theamazingseller.com/147. If you go to that page there should be a link there that you can go through and receive that discount that James was telling us that he would give us. All right? I just wanted to put it out there. If you’re at all interested, go ahead, check that out. If you’re listening to this after February that event will have ended but he may be having one in the future. I don’t know. Before that head over there, check it out. Again, James is a really great guy and he’s got a lot of knowledge so he’s someone that you might want to pay attention to, all right? That’s it guys. That’s going to wrap up this episode. I really, really wanted to say again thank you for an amazing 2015 that we just wrapped up. I’m really excited for 2016. I have to close out the show as I always do. You guys have to remember this, all right? I’m here for you. I believe in you. I’m rooting for you but you have to, you have to- come on, say it with me. Say it loud. Say it proud- take action. Have an awesome, amazing day and I’ll see you in the next episode. I see that vendor express account requires that the product will be shipped to Amazon by UPS only and must be from a US address. Do you have any idea on how an non US residents can ship product to Amazon vendor express ? Hey Nir, you can always go the Seller Central route over the Vendor central route. If you’re set on Vendor central you can always use a US based inspection and prep service to inspect and ship the goods to Amazon once they hit the states! Sorry that my last comment didn’t meet the criteria of posting standards. Simply let me know what to avoid and I shall keep within those guidelines. Was only trying to add some other experience to the comments. Hey Dom, I’m not sure what you’re referring to here, but If I missed approving and replying to your comment…feel free to rewrite it! We do a few different things to try and avoid any type of hijacking which maybe a help to your listeners. All our product is shipped to Amazon Fba in Retail Ready form (packaging, upc, graphics etc) , we never send any product solely with OPP/Poly bag as this is the easiest way for competitors to sell/list under your product(s), This is especially easy if your competitor themselves has either purchased a sample of your product or simply looked at all the Review photos/video on your listing to see what reviewers have posted about your item. Once they see your product they know immediately now that your using poly bags/opp bags for your product, instructions etc. they can easily replicated it. 1) Gives added customer assurance that you want to product & protect your quality products. 2) Give you that inside packaging hidden identifier. Another way we provide deterrence from hijacking is that all our product have our logos/company branding on them some where physically , either by way of mould’s or stamping/etching and not just the packaging. And lastly some of our stock/lifestyle photos for our Amazon listing will include a picture of a unique/subliminal characteristic such as a model/person using the product etc (the model is actually a person of interest or part of the business). We then submit a picture of that person with our product picture to Brand Registry. This way Amazon now knows that our product/name brand is being represented by a real person/owner/staff etc. One of the best and most frustrating episodes of TAS. Great because James has in-depth experience of real hijacking from Amazon’s point of view and what causes a listing to be hijacked and frustrating because at the beginning James says he has a lot of insight into why accounts get banned that he’d like to share and we never here a word on that. Glad to hear you enjoyed it and bummed that you didn’t get everything you needed ! Do you have a specific question that I can help you with? Hey Scott, I don’t have specific question but it would be great to get James back on for an episode dedicated to why accounts get banned. Hey Kevin, I’ll keep that in mind! Not your greatest work Scott, sounded like you had an urgent appointment to go to. You asked too many questions at once and you interrupted and talked over the guest. Please slow down. Also regarding the claim that “you will only hear it here”, James was interviewed last November by Kevin of “Private Label Podcast” fame, please go and have a listen. Don’t get me wrong, you are providing a great service, but something just needed to be said. Hey Rami, it’s possible that may be enough, but it would be up to the rep you speak with regarding a possible hijacking at Amazon. Usually they are going to be most worried about the product itself, so I wouldn’t rely on the ebook alone as proof of ownership. Can you put links to your website or email squeeze page in ebooks that are given away as a bonus with products? If it is just an emailed ebook, do you need to setup as a bundle? Hey Carl, you always want to be careful with outside links in anything related to Amazon, but as long as it’s relevant and you’re adding value to the transaction…I’d say you’re probably ok. You wouldn’t need to set the product up as a bundle. All you should have to do is list the product as you would have (without the ebook). I have one question, adding the product UPC code to the product or packaging is suggested as one way to help prevent hijacking. But I thought Amazon didn’t want UPC codes on the product/packaging and, if it is on the product/packaging, it needed to be covered with the FNSKU. Thank you for all you do, it is really appreciated! The UPC is fine to be on the product, but Amazon will cover it with an FNSKU sticker (alternatively YOU could have it covered with a sticker). That way there is only one “visable” barcode on the package, but both are actually there. Does that make sense? 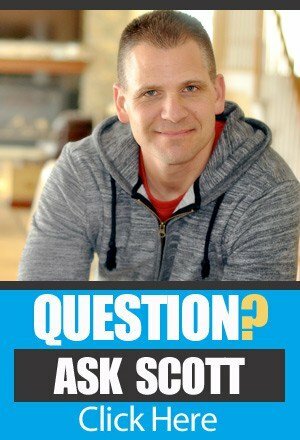 Scott, really-really great info, thank you! What are the implications? if I register, do I have sell to Amazon, etc.? or do I just set up vendor listing and leave it dormant and focus on Seller Central listing? Hey Scott, the part at the end of the Podcast about registering on Vendor Express and getting access to the limited time Promotion with five A+ EMC listings was extremely interesting! I’m trying to figure out if this can be utilized for products that are “Fulfilled By Amazon” and not sold to Amazon. Any insight on this question is greatly appreciated! Take care. You CAN register for vendor express and not have to reach a wholesale agreement with Amazon. Scott, this was an amazing episode. So much great information! Just wondering if you will consider doing an “After the podcast” Podcast and maybe walk us through some of these things and how you will apply this information and how it might change your advice to newbie sellers. I would love to hear even more of your insights on this than you have already covered in this podcast. Thanks for all you do! Hey Lorranie, if you haven’t been to the webinar yet, we get to dive into a lot of those kind of things during the Q and A section! If you have a specific question feel free to ask it and i’ll see what I can do for you!